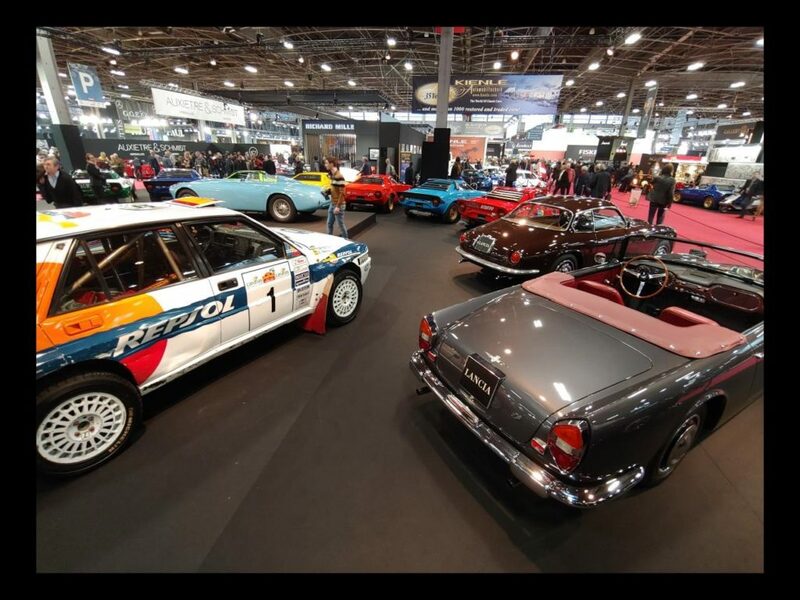 I just returned from a quick trip to the City of Lights for this year’s opening of Retromobile. 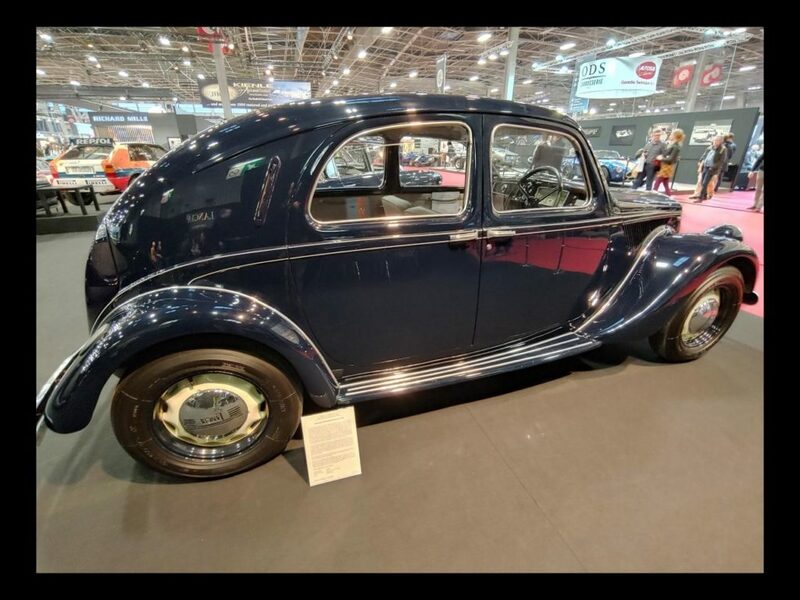 It is hard to put in words the sheer scope of this event-there really is no equivalent in the U.S. It’s part celebration the golden age of French motoring (deDion-Bouton or Gnome-Rhone anyone? 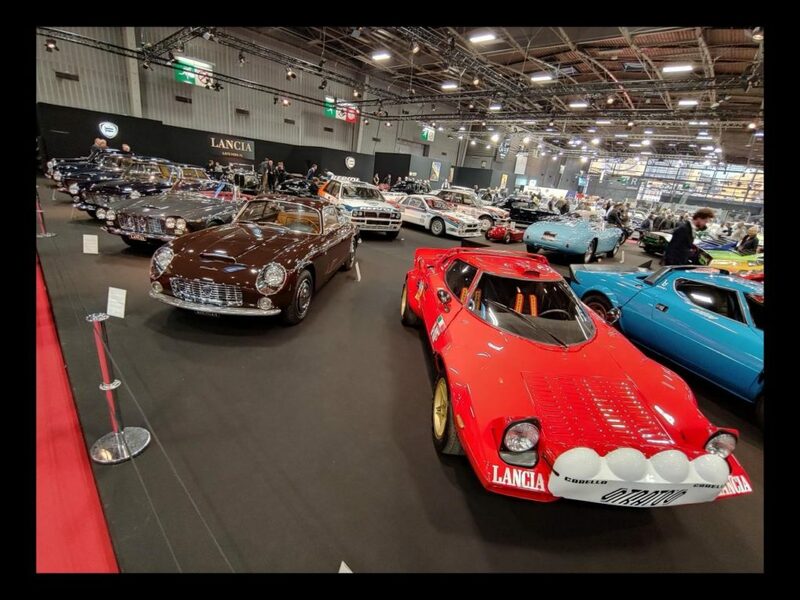 ), and part vintage car fantasy-land, with all marques and eras well represented. 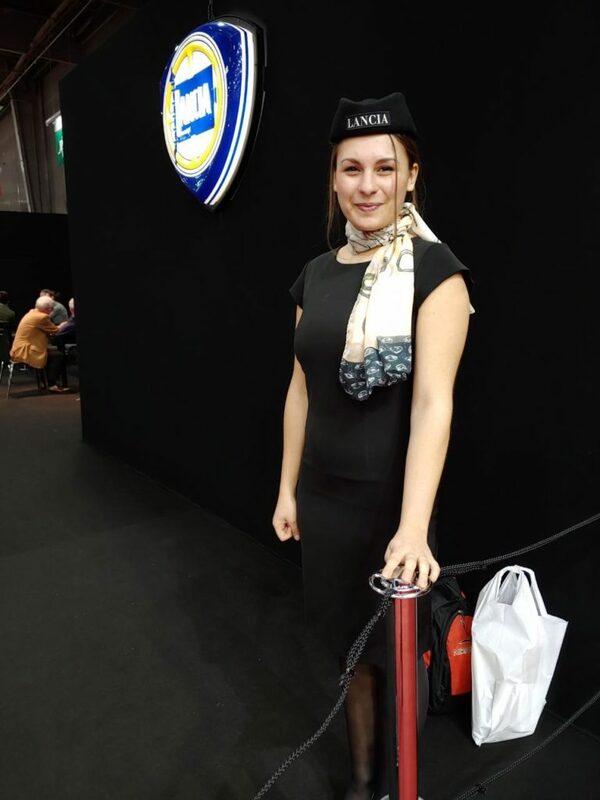 The organizers really pull out the all stops for this one, and the entry fee is a very reasonable 19€ per day. 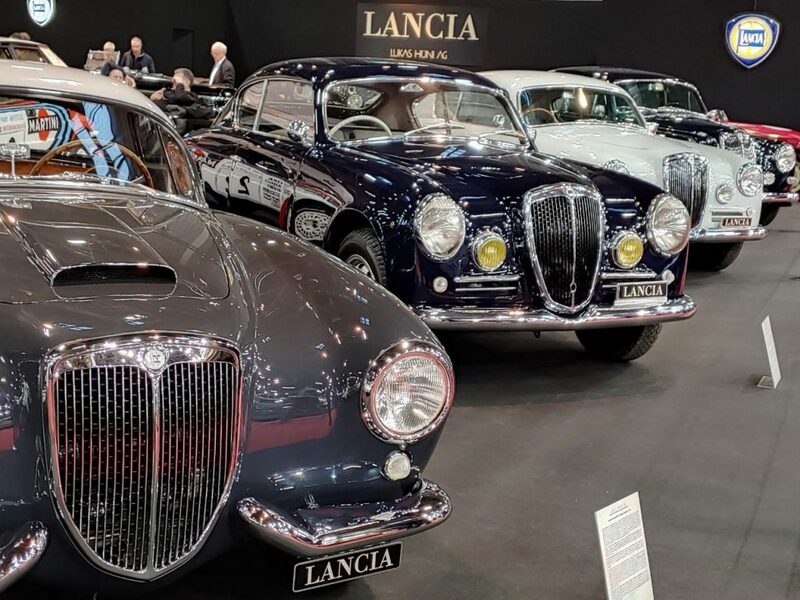 While you could likely run across just about any model of Lancia scattered among the various clubs and dealer displays, if you want to cover the whole event some planning is required. Two days is barely enough time to give the show justice. Three is better. 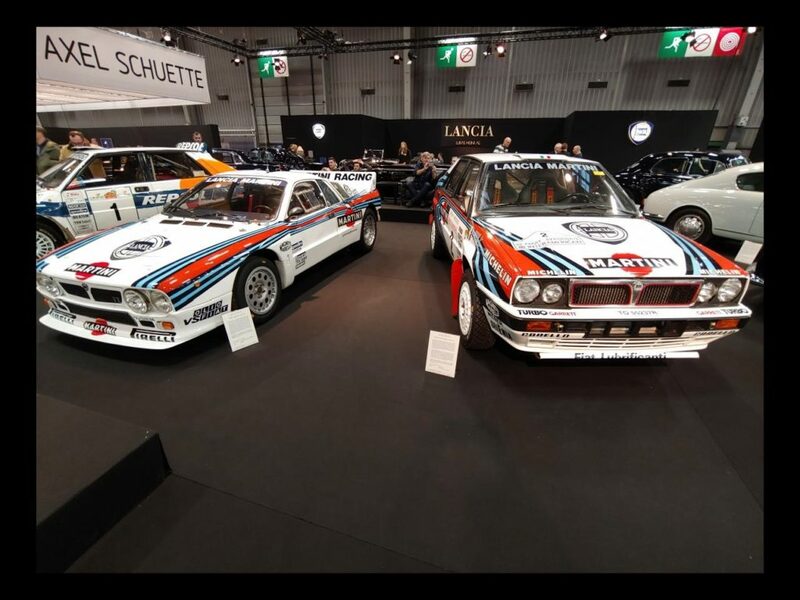 Should you linger too long in one area (easy to do, with curiosities to delight your motoring fancy at every turn) , you are in danger of missing another display entirely I almost missed what would be the highlight of the show for any Lancisti. 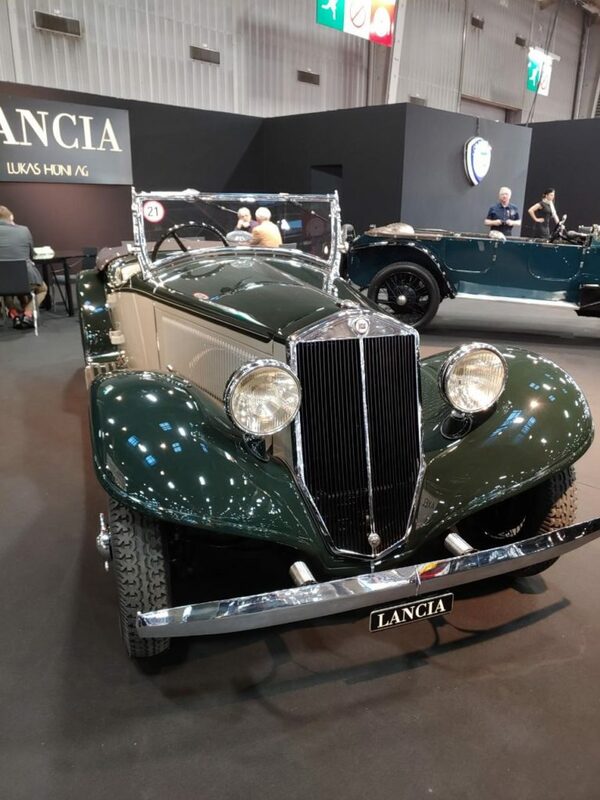 In a large space to the far right of the 1st pavillion is an amazing private collection of no less than 30 Lancias, many iconic and rarely seen, and all in show condition. 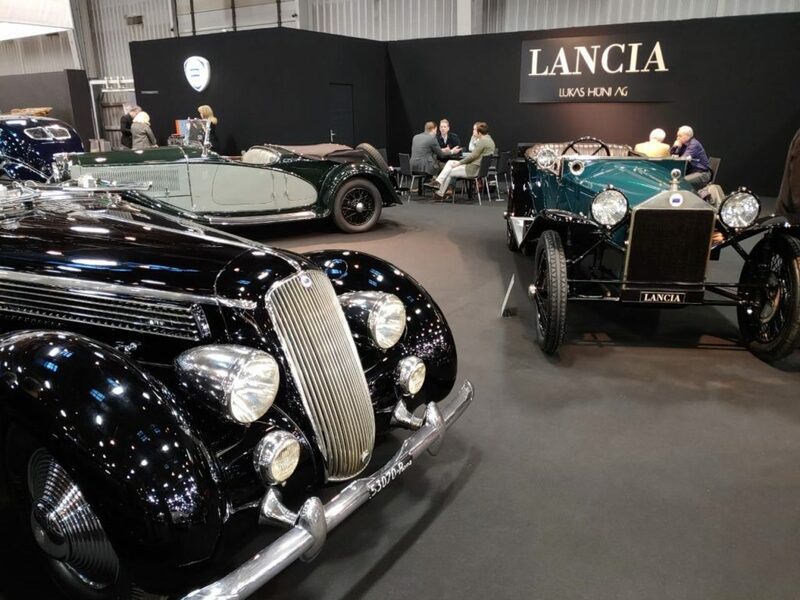 The display itself is prominently placed beneath illuminated Lancia signs and behind a black velvet rope manned by a pretty hostess (in a smart Lancia uniform, no less!). The rope is there just for an entry point-the cars are directly accessible. 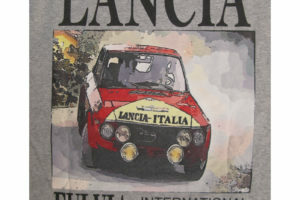 For a moment I thought Lancia (?) itself might be involved, but that was just a fantasy. 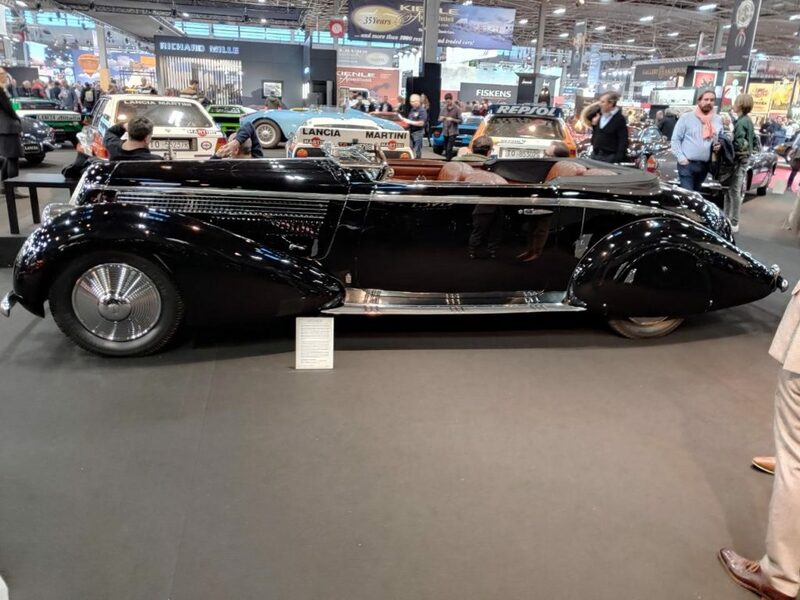 I believe the collection was based in Germany, but unknown to me-perhaps other members are familiar with it. 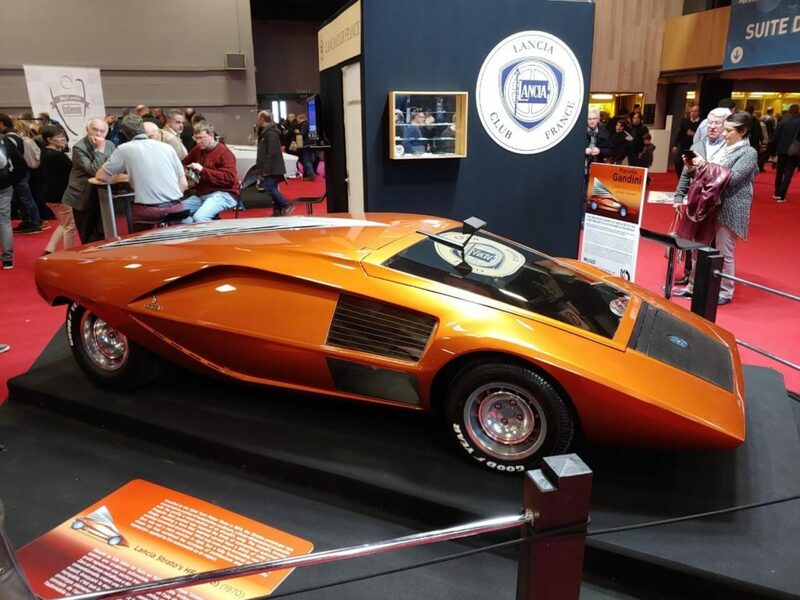 Another highlight was the Lancia Stratos Zero Concept car which the Lancia Club of France had managed to free from its hiding place for display at their stand. 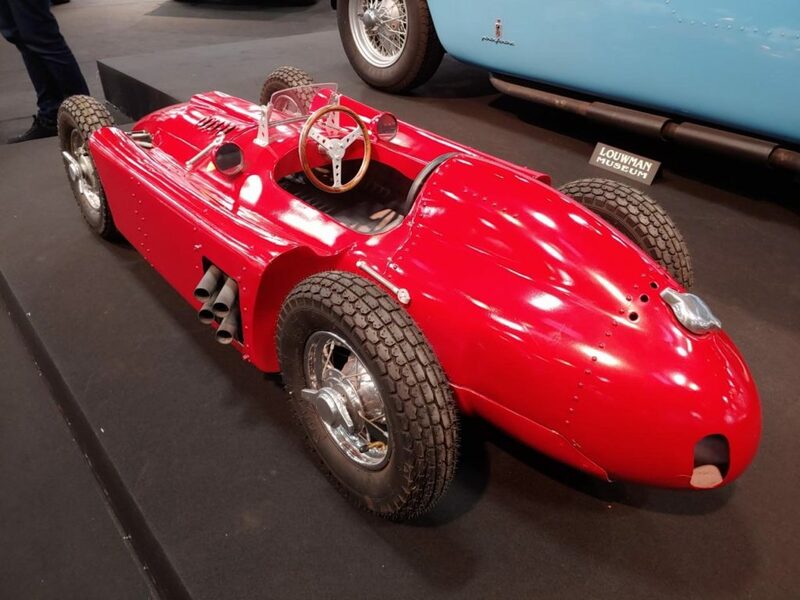 Some personal favorites were the 1955 Alfa Romeo 750 Sports Racer prototype (based on Giulietta running gear) at the FCA Heritage stand, and the many beautiful and rare 60’s DS19 and DS21 Chapron convertibles, all impeccably restored, at the Citroen display. 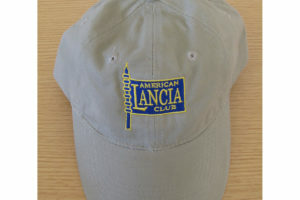 The show runs through this Sunday(2-10-19).